« Vintage Inspired Bridal Accessories! You never know when you are going meet the person you’re going to spend the rest of your life with! All the festive décor at the Addison Park got Jeannette and Steven thinking, why not begin their marriage and ring in the New Year together? For the icing on her dazzling look, Jeannette visited us at Bridal Styles! 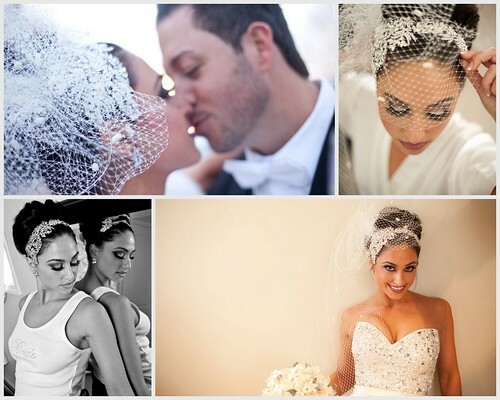 We created a spectacular asymmetrical headbandwith different shaped Swarovski crystals, finished with a dramatic French net veil, tailor made to complement her one of a kind gown. 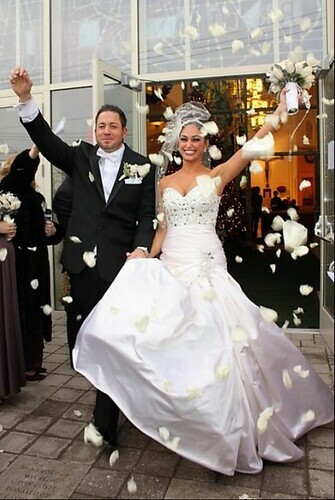 The day of the wedding French Twist Salon in Staten Island completed Jeannette’s breathtaking look with an elegant updo. December 31, 2010 was everything Jeannette and Steven dreamed of. Jeannette and Steven had advice for couples in the midst of planning their own weddings. Thank you for sharing your day with us, Jeannette and Steven! Best wishes! Photography by Vince Segalla for Photography Elite Inc. This entry was posted on Tuesday, March 8th, 2011 at 10:10 am	and is filed under A Wedding Story. You can follow any responses to this entry through the RSS 2.0 feed. You can skip to the end and leave a response. Pinging is currently not allowed.